WINTER KEEPERS: Delicata has a short shelf life in terms of winter squash, approximately 6 weeks. This winter squash varietal has a cult following in the specialty produce realm. Those that know and love it, realize that it tastes best early on in the season - so seek them out in the early fall right after harvest! 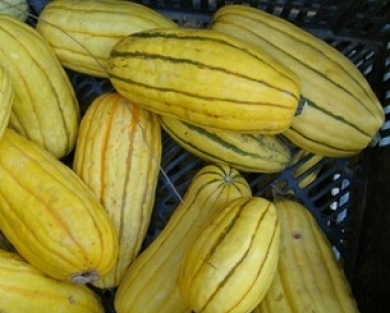 Unlike some of the other types of hard squash, the delicata has a much shorter shelf life. 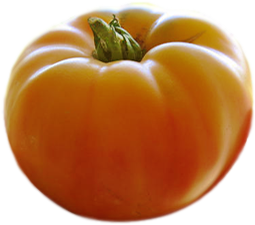 Its flavor, texture and sweetness are in their prime soon after harvest, so don’t delay! If you haven’t already joined the secret society of delicata lovers, you are soon to learn that this creamy squash is quick cooking and easy to cut and peel, making it an all-around favorite. Some compare its light flavor to that of sweet corn, and we all agree: it is delicious. Its rich flavor lingers in your mouth after each bite. Another point for the delicata squash is that it has delicate skin that is tasty and edible. It’s a great ingredient for winter soups or a good stir-fry addition too. 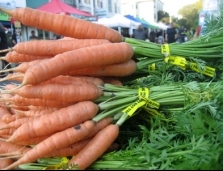 Leave the skin intact for the nutritional fiber benefits or peel it easily with a vegetable peeler. A farm-favorite breakfast recipe is to cut a delicata lengthwise, scoop out seeds then quickly sear on a skillet, face down in some melted butter then flip and transfer to a 375 degree hot oven to make oven baked boats with butter and honey for a sweet and healthy breakfast treat on a cold morning. Like we said before, the best time to enjoy delicata squash is early on in the season. Look for the well-shaped squash with a perfect creamy color underneath its long green stripes and beware of squash that feels too lightweight or has too deep of an orange coloring, as these could be overly mature. Winter squash will last longest if kept in an airy spot, free from excessive moisture. Avoid refrigeration. Winter squash are full of fiber, beta carotene and vitamins A and C.
One simple preparation is to peel and cut lengthwise, scoop out seeds then slice into half moons and sauté with olive oil, salt and pepper, with chili lime butter or cumin for a savory dish. A more complicated but delicious dish is to briefly sauté delicate rings, then combine with caramelized cippoline onions, sherry and sage and bake together. This is a delicious fall dish that can stand on its own or as an accompaniment to a main dish.